Over the decades, we’ve seen some rather ambitious game mods and fan projects. There have been attempts to recreate URA Zelda as an Ocarina of Time or Majora’s Mask ROM hack. HD remakes of games like Super Mario 64 have been a dime a dozen. And well, when it comes to the likes of Minecraft or Super Smash Bros, things just speak for themselves. Either way, now we have another insanely ambitious project. Namely, a mod for Grand Theft Auto 5 which tries to recreate Red Dead Redemption in its engine. No, we’re not kidding. It’s attempting to remake the entire world of said game, before potentially porting over things like weapons, enemies and characters later down the line. As you can see, it looks quite good so far. However, there are some issues here, and I’ll cover them now. For one thing, it’s a potential legal nightmare. This is because publishers and developers are not the biggest things of people remaking their games and distributing them for free, as many Nintendo fan game devs have found out the hard way. Fortunately, this is less of an issue here. Rockstar and Take Two are (from what I hear) slightly nicer to modders and fan project developers than Square Enix. Not perfect (they love to shut down multiplayer mods for GTA 5 for example), but better than some other companies. So there’s less of a chance it’ll get shut down through legal avenues. But that still leaves it with an issue. Namely, the chances of it seeing completion are… slim at best. And that’s because it’s just so big and so ambitious. 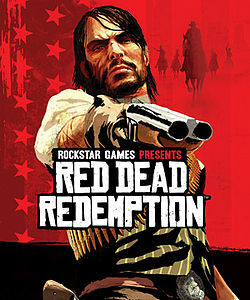 I mean, the original Red Dead Redemption had a team of 800 people. As in, all working full time over a period of about 5 years. Yeah sure that was from scratch and you guys can at least just port assets over. But still, it’s a big ask this project, and seems like something that requires much more development work and time than you’re ready for. So I wish you the best of luck with the game (and will damn well cover it here if you finish the project), but sadly suspect your chances of completing this thing are slim to none. Let’s hope things work out in a few years or so!